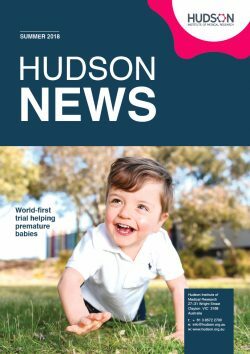 Hudson Institute’s brightest scientific minds and most promising discoveries will be progressed, thanks to support from a leading philanthropist, Mr Peter Fielding and the Fielding Foundation. The 2018 Fielding Innovation Award has been awarded to Dr Maree Bilandzic to develop more effective treatments for women with ovarian cancer. The 2018 Fielding Foundation Fellowship has been awarded to Dr Jemma Evans for her work in improving women’s reproductive health and fertility. The fellowship and award are generously funded by the Fielding Foundation to support Hudson Institute’s brightest scientific minds and bridge the gap between early and mid-career research. The Fielding Foundation Fellowship supports an outstanding early-to-mid career researcher to establish their own independent research, setting young scientists on the path to success at a crucial time in their scientific careers. The Fielding Innovation Award supports an early-to-mid career researcher producing major advancements in the commercialisation of their research to ensure discoveries reach patients as treatments. The awards were established in 2014 with a $1 million donation from the Fielding Foundation and its chair, Melbourne businessman and philanthropist, Mr Peter Fielding. Ovarian cancer is a devastating disease with a five year survival rate of just 44 per cent. The vast majority of tumours become resistant to current chemotherapies. 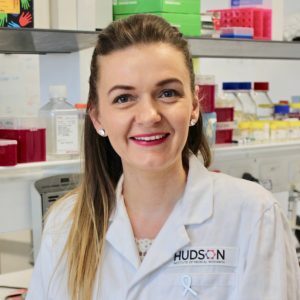 The 2018 Fielding Innovation Award recipient, Dr Maree Bilandzic, a senior postdoctoral scientist in the Centre for Cancer Research, has discovered a mechanism by which cancer cells can invade healthy tissue. She will develop new drugs to close this ‘loophole’ to stop tumours spreading and at the same time prevent chemotherapy resistance. “Thanks to the Fielding Innovation Award, we will trial a new and exciting approach to target ovarian cancer cells. 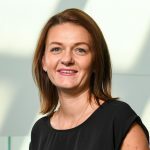 This innovative approach has the potential to stop the growth and spread of tumours at initial diagnosis or relapse, and increase survival statistics for patients,” Dr Bilandzic said. 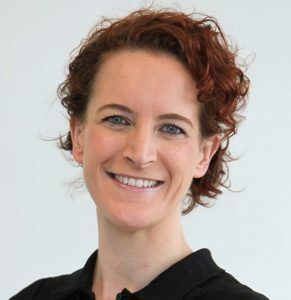 The 2018 Fielding Foundation Fellow, Dr Jemma Evans, is a leader in the field of endometrial biology and a senior scientist in the Centre for Reproductive Health. 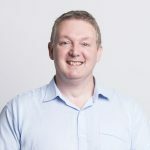 Dr Evans’ research focuses on women’s reproductive health, specifically menstrual disorders such as endometriosis, as well as the impact of metabolic disorders, such as obesity, on fertility and pregnancy. “The Fielding Fellowship is critical in helping me to both develop my career and improve women’s reproductive health. 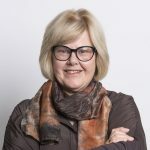 I will pursue the development of novel diagnostics for endometriosis and also initiate a clinical trial to help women with metabolic disorders conceive and achieve healthy pregnancies,” Dr Evans said. This news article was posted on 24 November, 2017 . It was last updated on 5 September, 2018 .